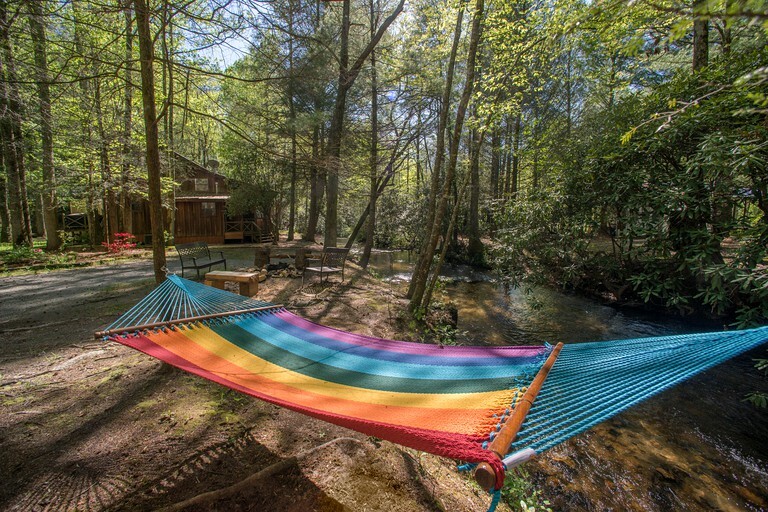 Wonderful experience for rest and relaxation! 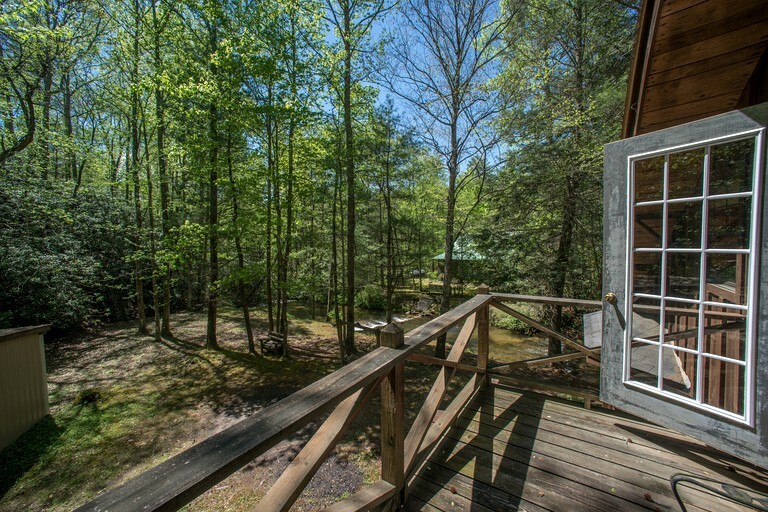 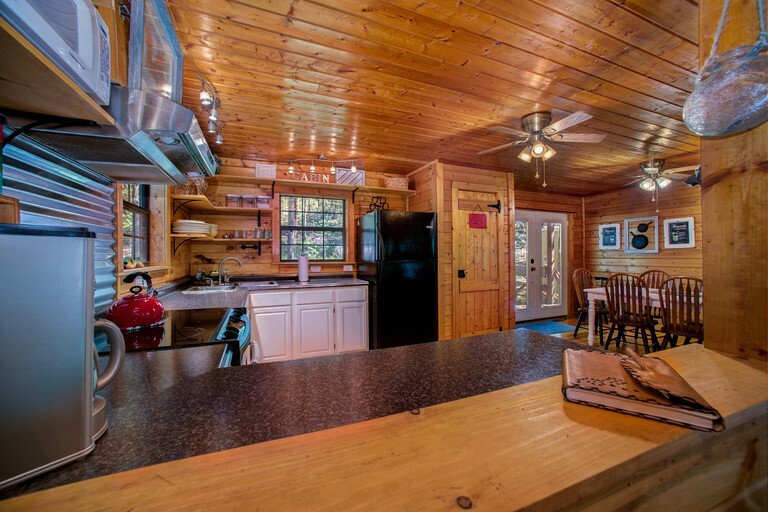 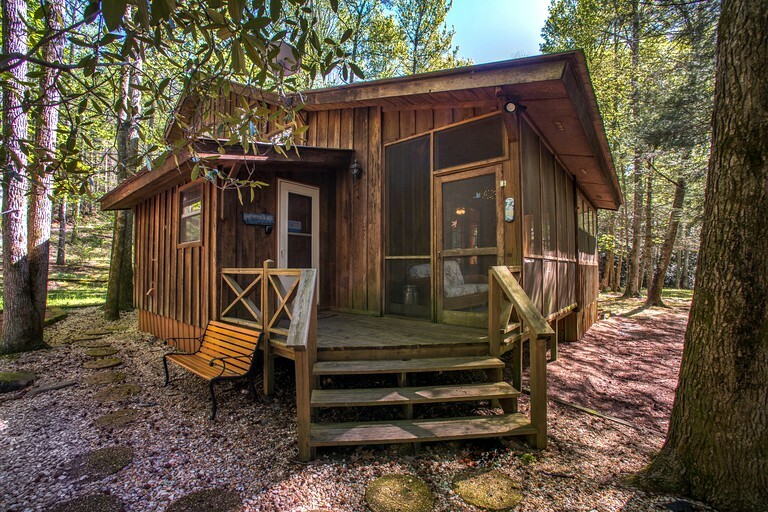 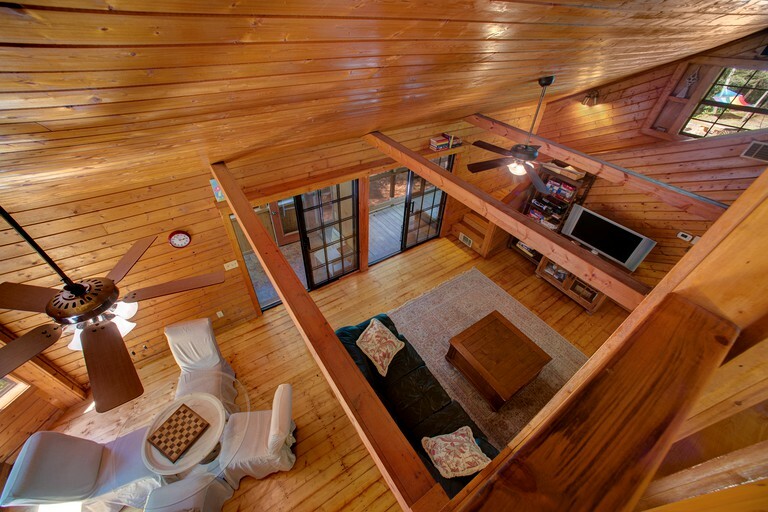 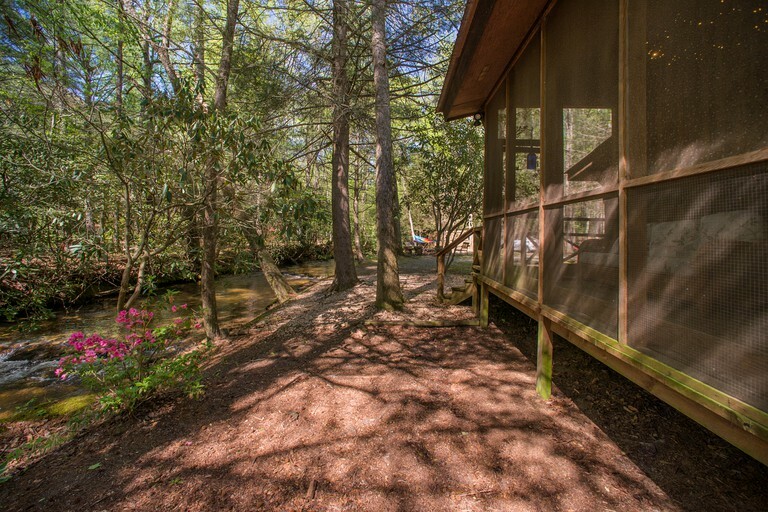 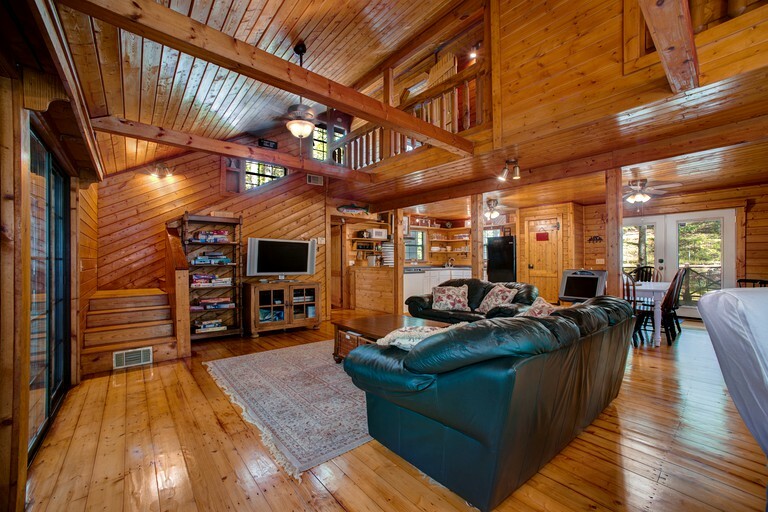 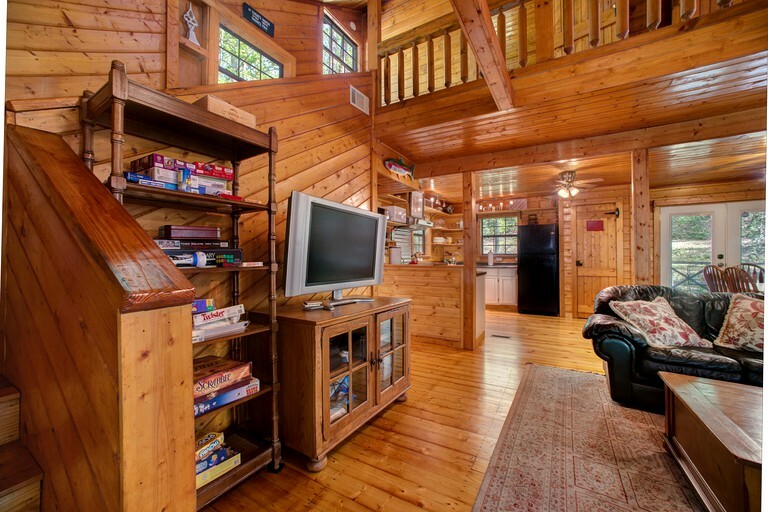 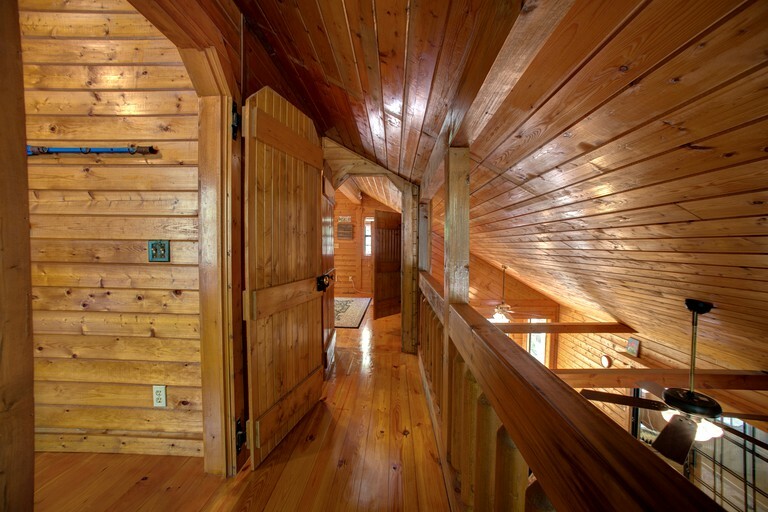 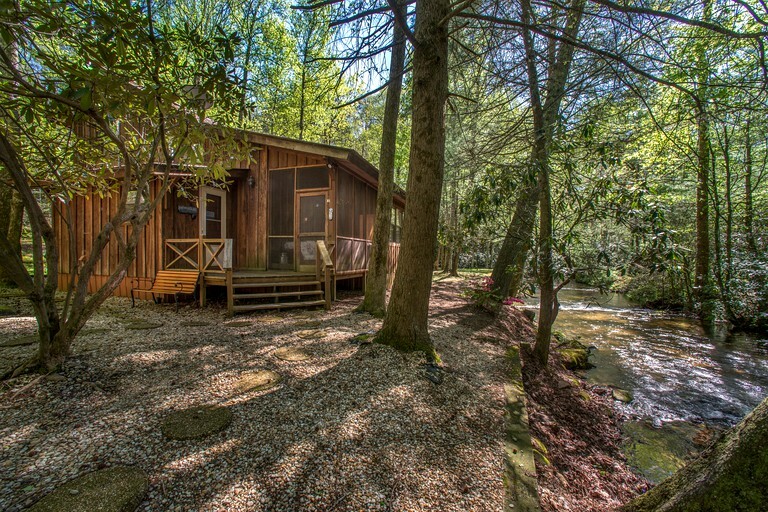 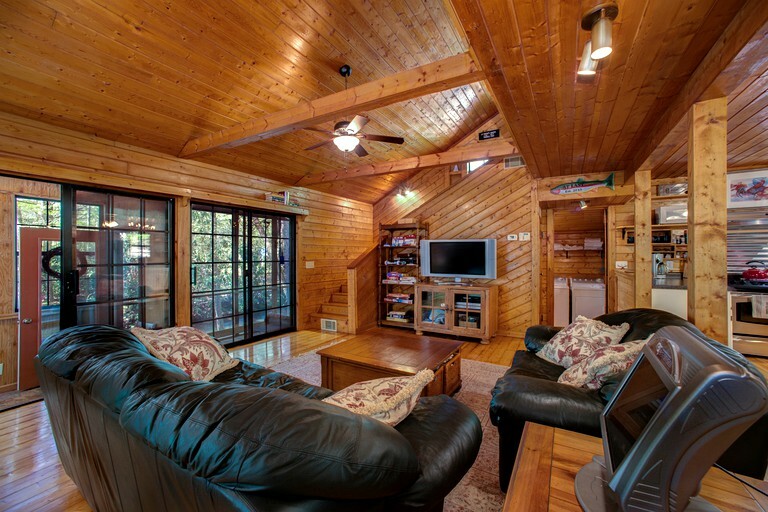 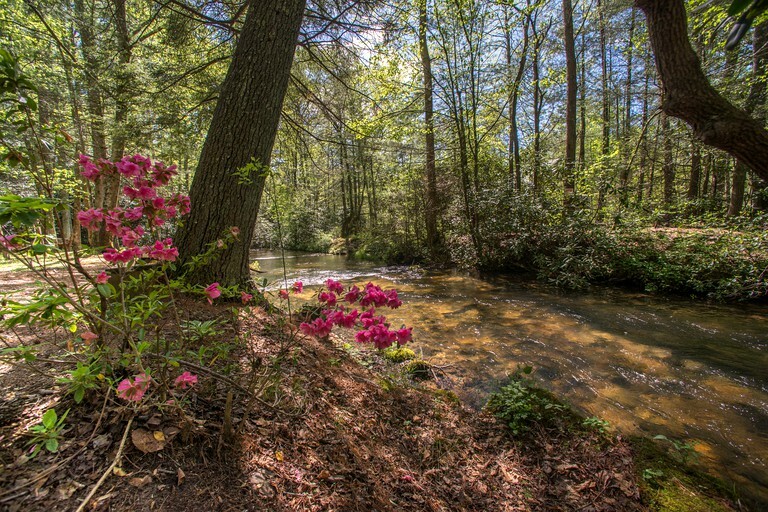 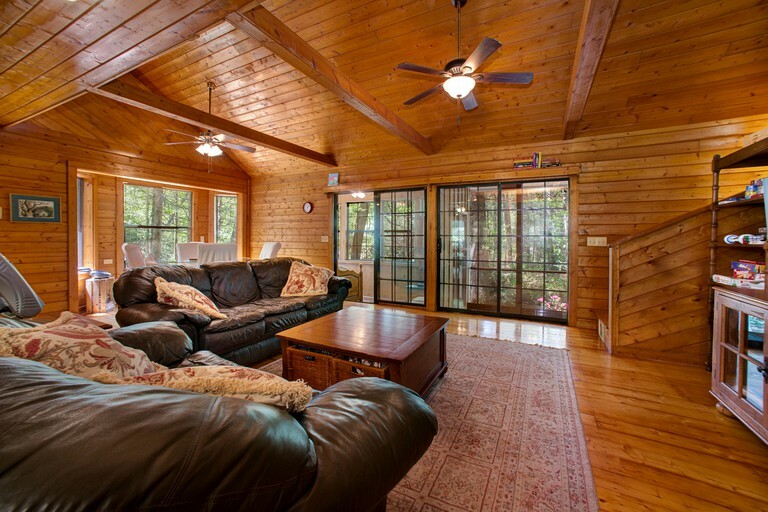 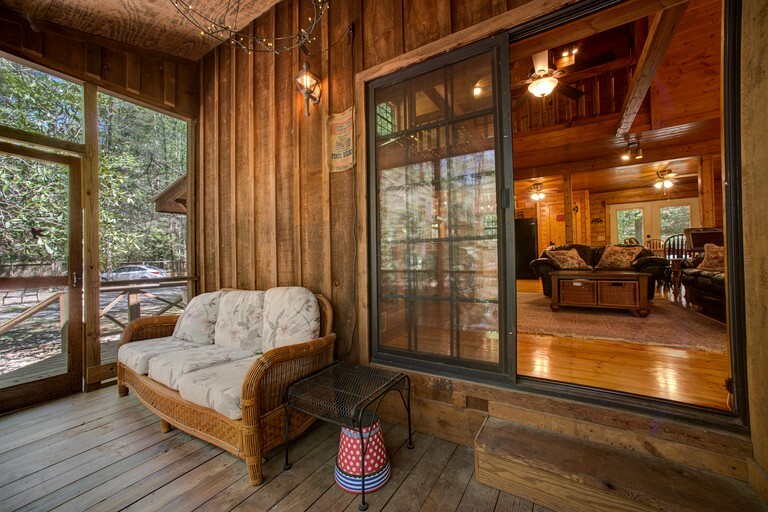 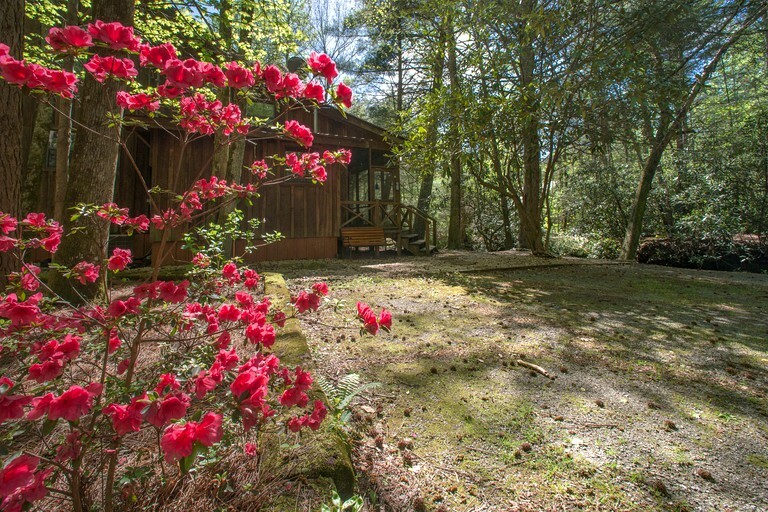 Located in the town of Ellijay, Georgia, this luxury cabin is an exceptional oasis, set alongside a creek and offering the utmost beautiful interior. 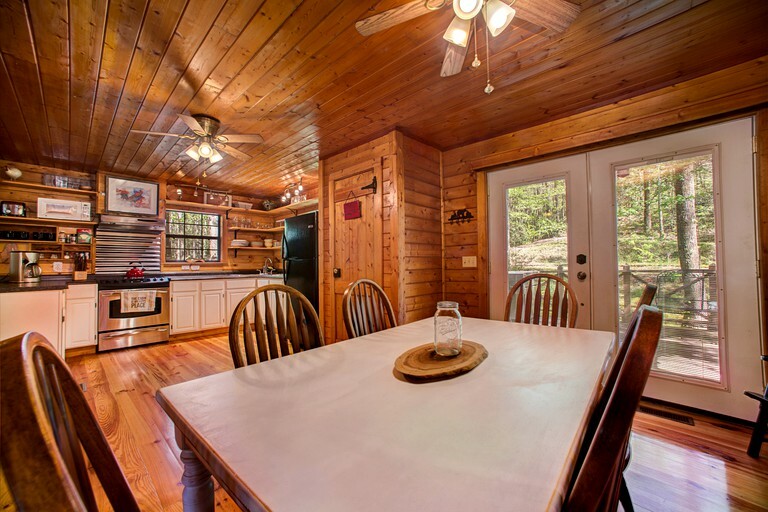 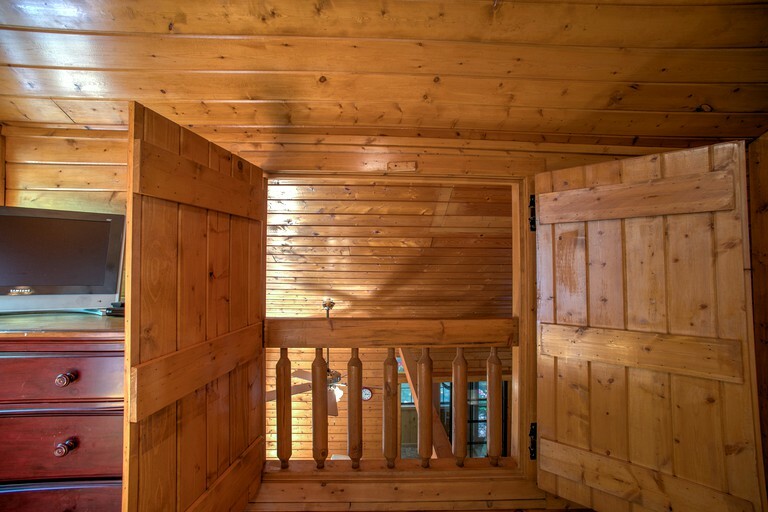 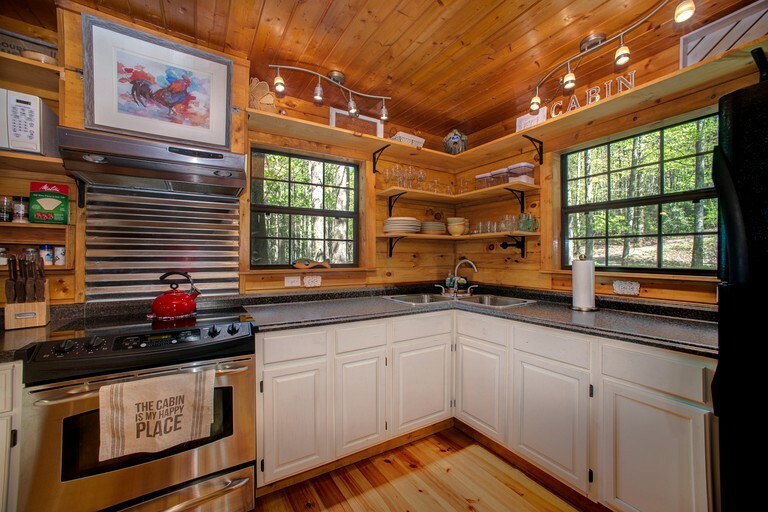 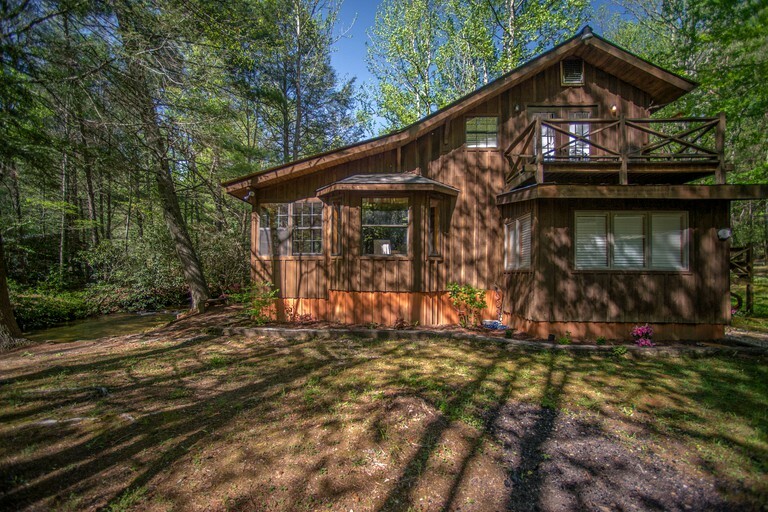 From its rustic and well-crafted exterior to its detailed decoration, this cabin offers everything vacationers will need for a camping getaway. 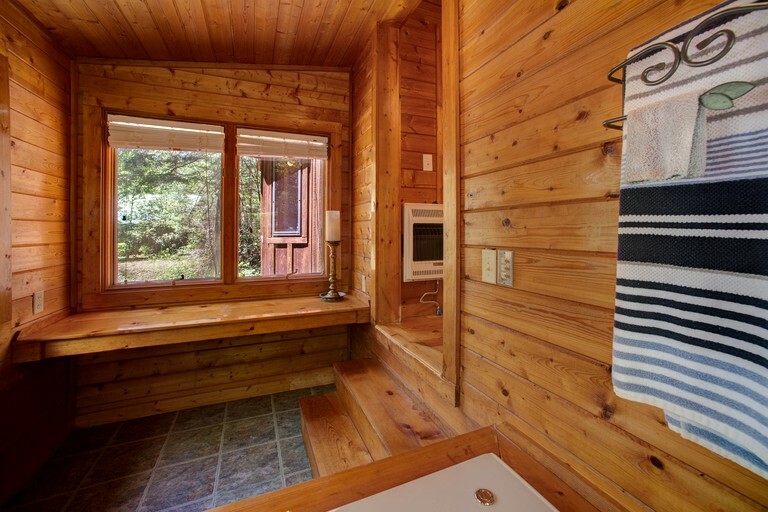 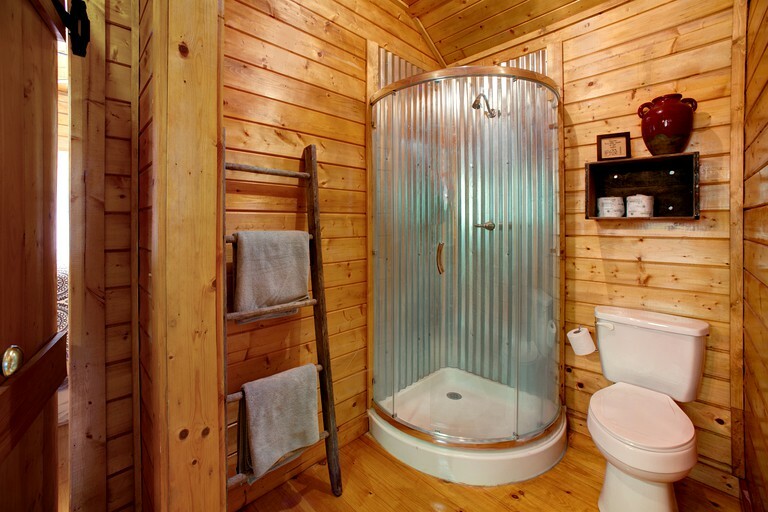 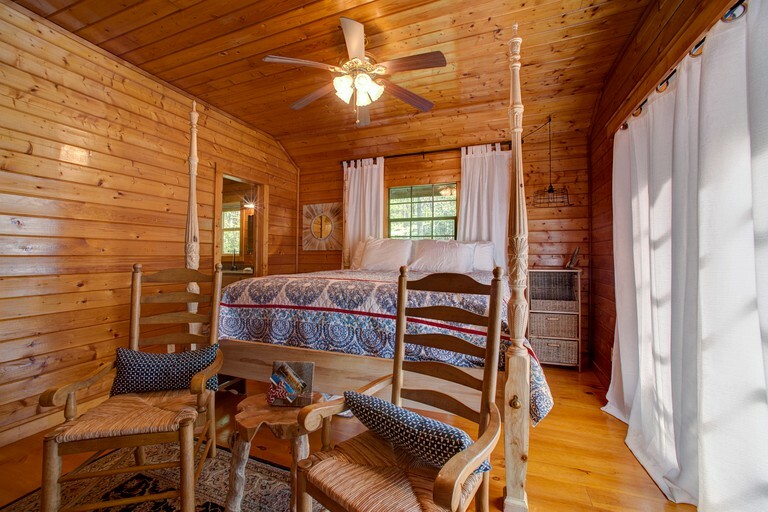 This cabin can sleep up to a total of six guests, with two bedrooms and two bathrooms. 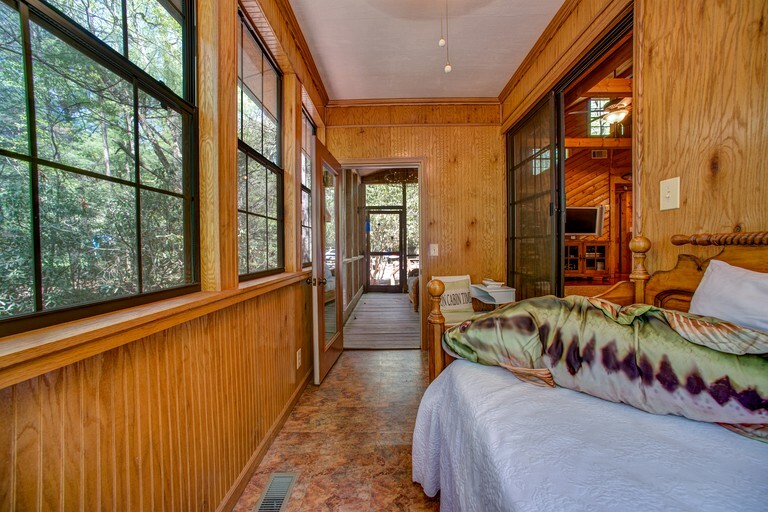 The master bedroom, located upstairs, comes with a king-size bed, a small television, and a pristine private bathroom. 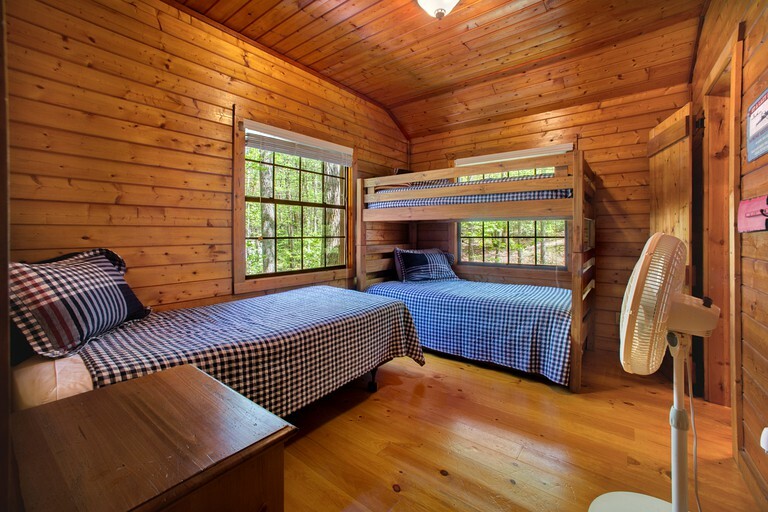 Perfect for kids, the second bedroom is furnished with a single-size bed and a set of twin-size bunk beds. 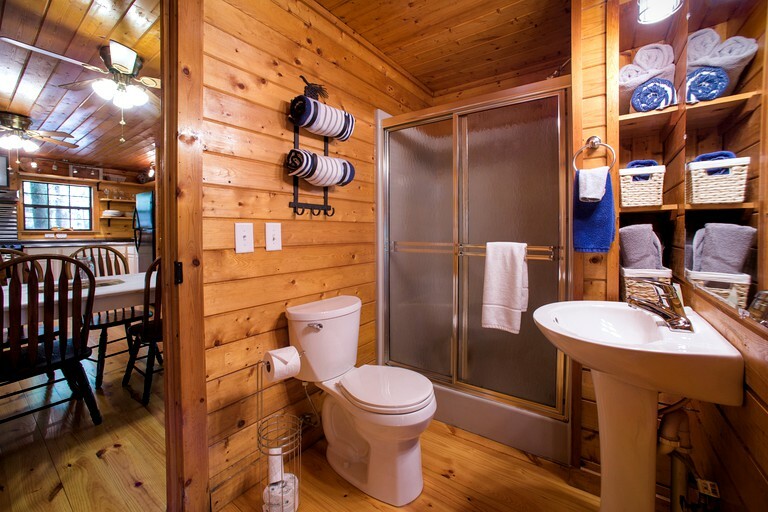 On the main floor, guests will find a day bed in the sunroom and a bathroom with a jet tub and shower. 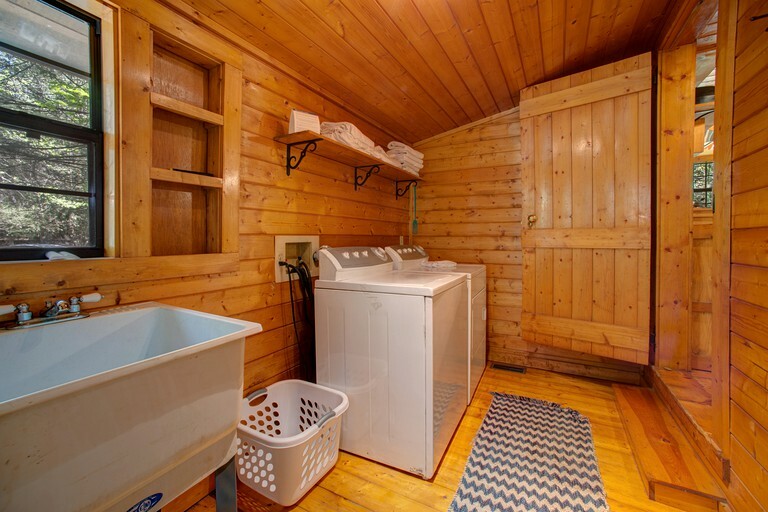 Facilities here include a utility room with a washing machine and a dryer, as well as a grand living place with a fireplace. 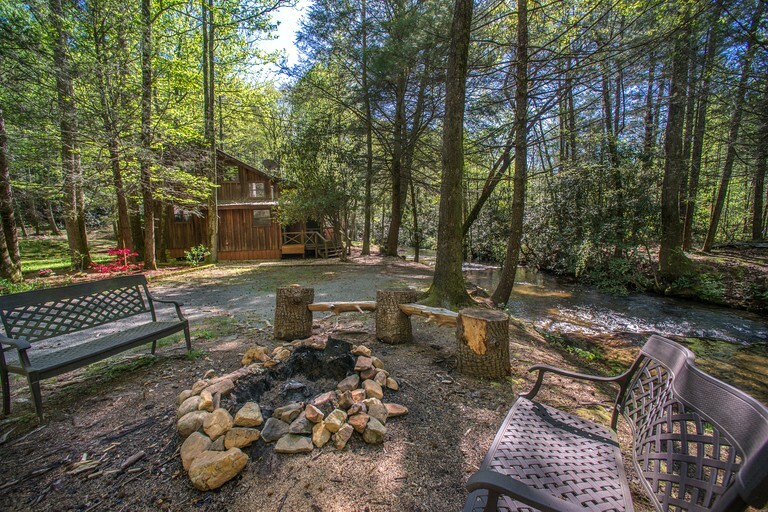 For cookouts, guests will have a charcoal grill. 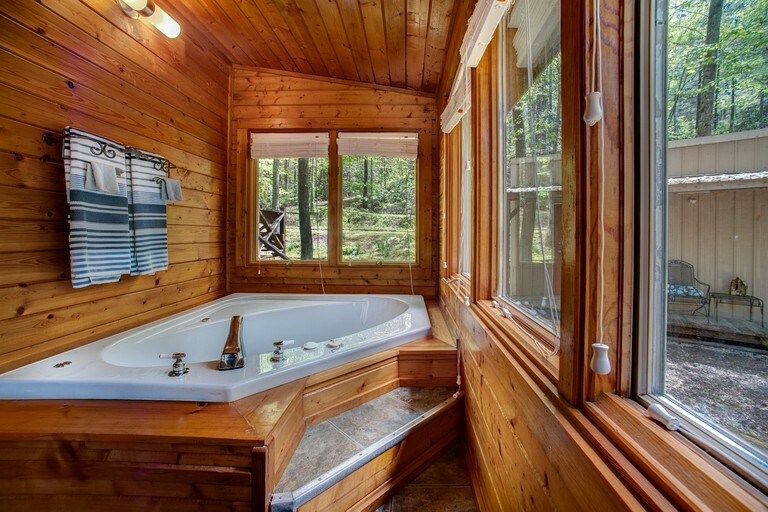 Additional features include WiFi, a jetted tub, games for kids, and an internet connection. 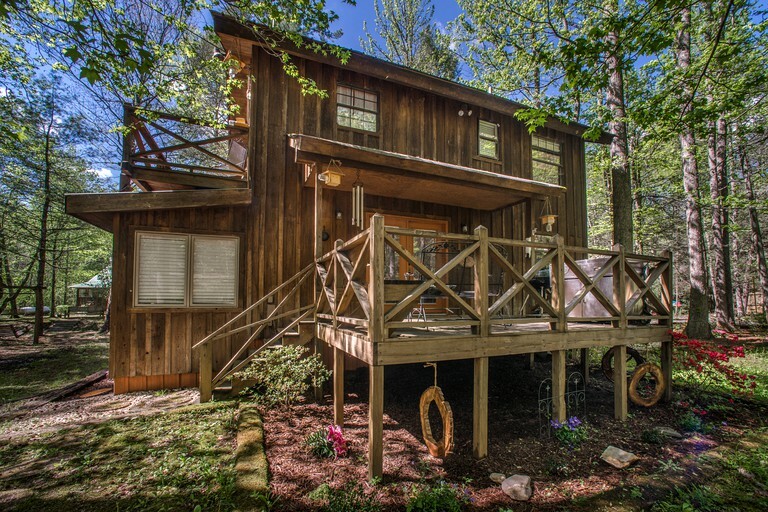 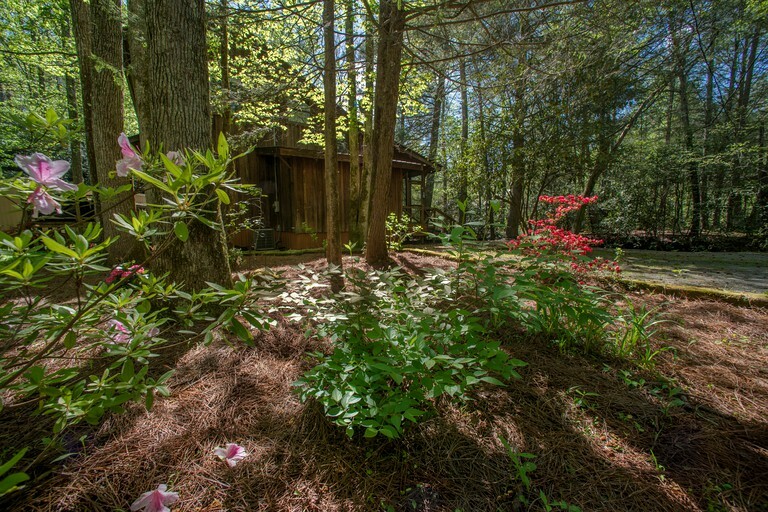 Perfect for nature enthusiasts, this property is set in North Georgia's vast Blue Ridge Mountain range. 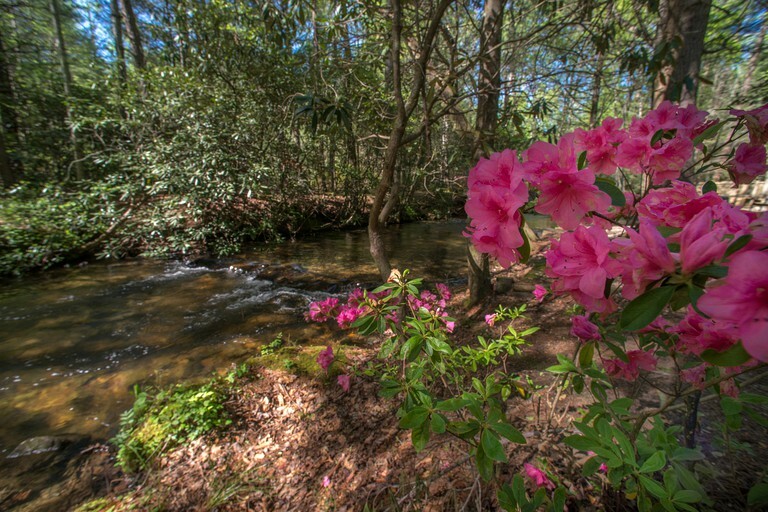 From trout fishing to wine tasting, the activities in this area are endless. 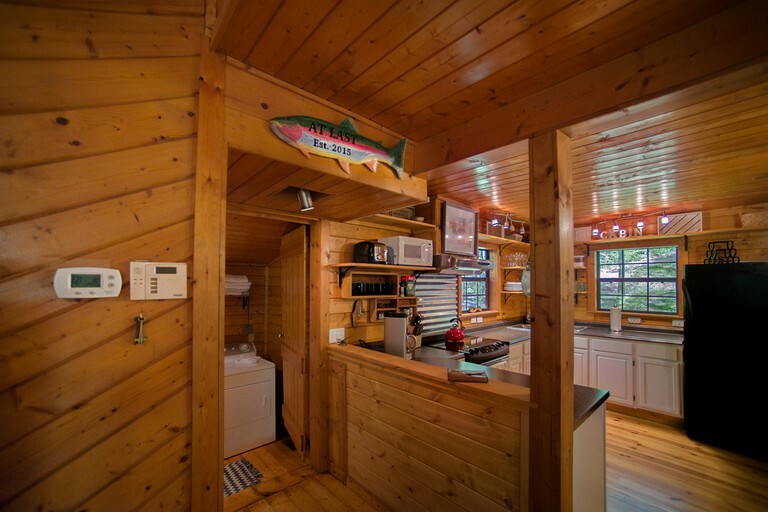 With numerous small farms, orchards and farmers markets, guests can truly immerse themselves in country living. 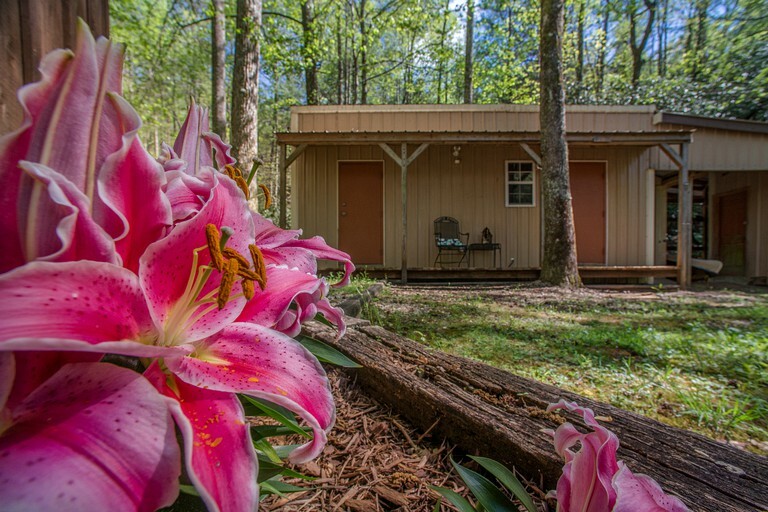 Glampers can spend their days walking along the nearby shores of Carters Lake or enjoy time right on the lake by kayaking or renting a private pontoon boat. 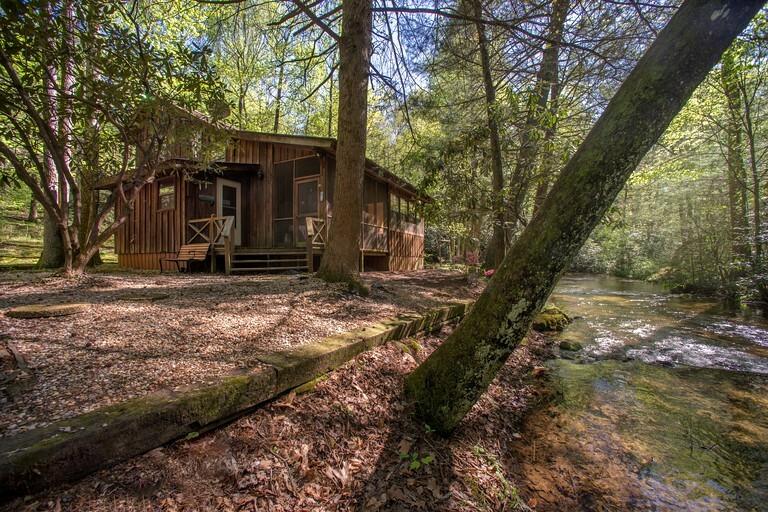 Tickanetley Creek is just outside this property for a quick, refreshing dip or a lovely afternoon of fishing and outdoor barbecuing. 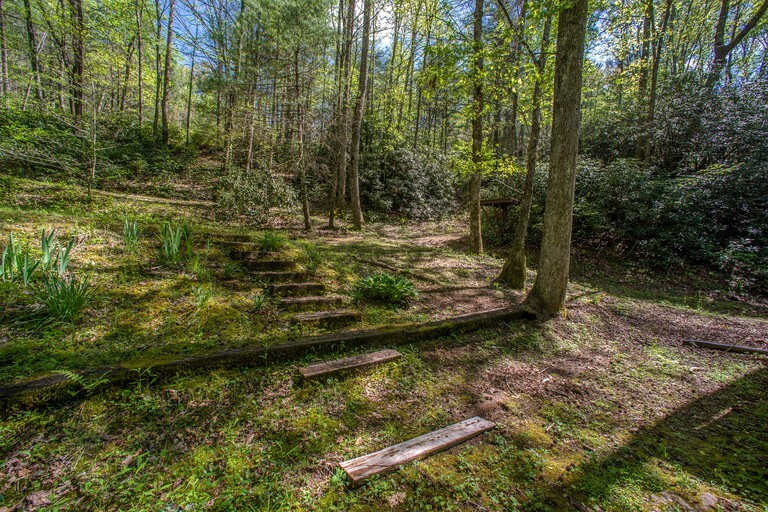 Children can play in the yard or read books on the outdoor swing. 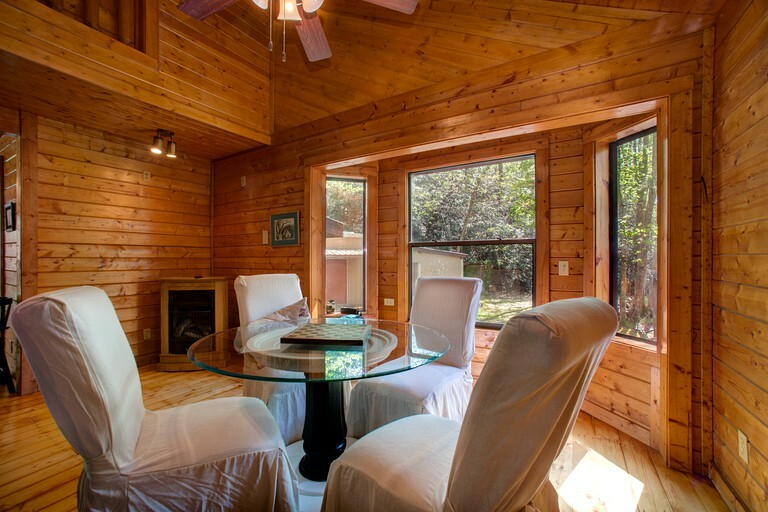 For those looking to go wine tasting, Ellijay is the perfect place to do so. 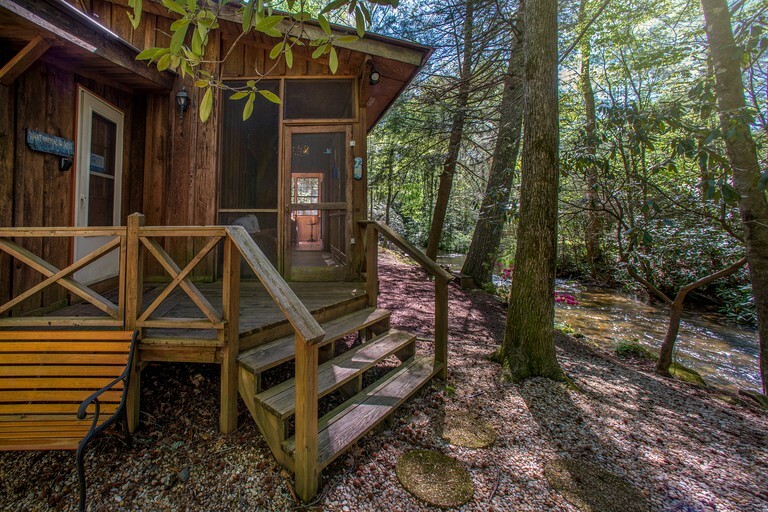 Amid the glorious Southern Appalachians, guests will find plenty of vineyards for group tours or solo tastings. 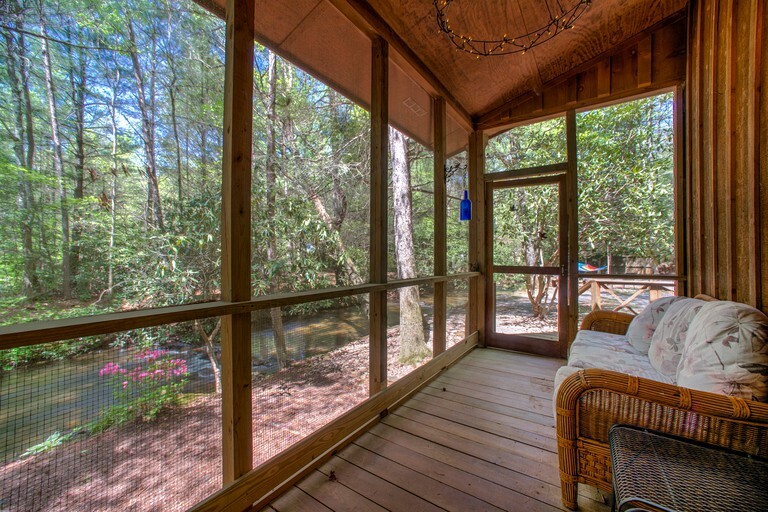 Each evening, guests can relax on the screened-in porch for breathtaking starry nights or gather around the fire pit for scrumptious smores and ghost stories. 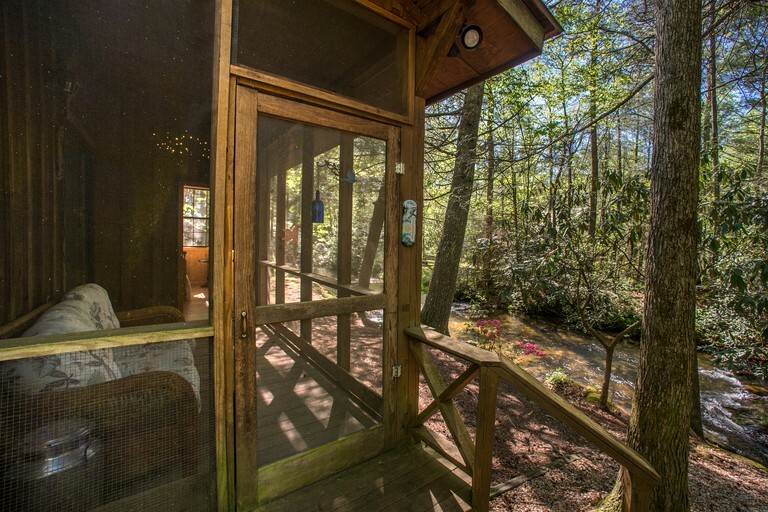 The minimum age for renters at this property is 25 years old. 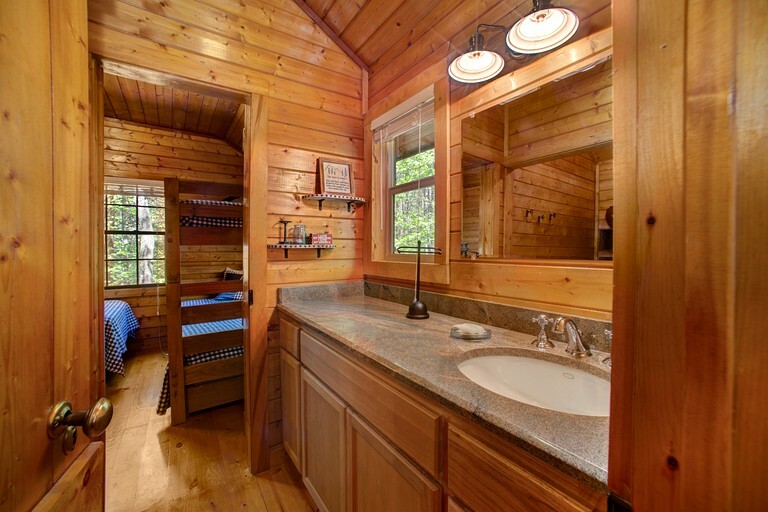 This applies to all guests that will be occupying the unit with the exception of multi-generational families.